Drug overdoses, especially those involving opioid painkillers and fentanyl, have soared, killing a record 70,000 Americans in 2017 alone. Overdoses have become a leading cause of death for Americans 55 and younger. But even as law enforcement officials and border patrols battle to get damaging, lethal, prescription, and illicit drugs off the streets, lawmakers, regulators, doctors, hospitals, insurers, Big Pharma, and courts are locked up in how best to deal with the opioid scourge. 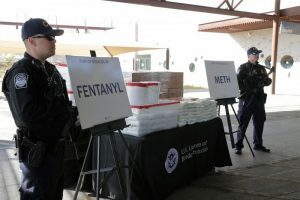 A federal judge in Cleveland seems stymied in his attempts for almost a year now to force an army of angry parties — including state and local governments, Indian tribes, and individuals — into a large, consolidated, negotiated settlement of an array of opioid-related lawsuits. The federal cases have resulted in voluminous exchanges of information, including hand-overs of materials that the law struggles to safeguard like companies’ (drug makers) internal communications and records containing patient information. The opioid damage claims grow by the day, in number and complexity. The presiding judge, in a step that some experts thought he would avoid, is allowing a select few cases to advance toward trial, with these matters potentially setting key legal precedents that will affect other matters that might follow. Scheduling parts of these cases may force the disputing parties to rethink whether they want to battle in courts, perhaps for decades, or to try to reach a deal, settle, and maybe better assist parties who claim they were injured, sooner rather than later. In Massachusetts, the Sackler family — a wealthy clan that hoped to be known as philanthropists and patrons of the arts, science, and medicine — has been called out in public with yet more disclosures about their relentless push for hundreds of millions more in profits from Purdue, the private, family-owned company that made the potent painkiller OxyContin. Officials already had released emails from a state suit against the family, showing them demanding over-the-top opioid sales and trying to micro-manage the addictive opioid’s sales and marketing. But at a time when they claimed they had removed themselves from Purdue operations, new documents show them demanding the company and its executives deliver even higher payments to the family. They also pushed Purdue — blamed by critics and in investigations for fomenting and worsening the opioid crisis — to get into addiction treatment programs, again, because they seemed “attractive” and lucrative. The Sacklers likely will need to weather yet more revelations, as they lost their attempts to get the courts to keep sealed the Massachusetts case against them. It is now a public record, save for one tiny slice. Those records, by the way, also have put the spotlight on global management-consulting firm McKinsey & Co. in yet more work for a dubious client, telling Purdue how to “turbocharge” OxyContin sales. In Boston, a racketeering trial involving Insys, its founder John Kapoor, and other executives of the fentanyl-selling Big Pharma firm has produced its own shocks and embarrassments. These include testimony about how doctors were paid big sums to be speakers and to persuade colleagues to prescribe Subsys, an opioid sprayed under the tongue. Others have testified how the firm hired a onetime stripper as a sales executive and how she offered a lap dance to try to persuade a doctor to push Subsys more. In my practice, I see not only the harms that patients suffer while seeking medical services, but also the havoc inflicted on them and their loved ones by costly and dangerous drugs, notably opioids. The epidemic took time to spread, abetted by reckless Big Pharma, negligent doctors, profit-seeking hospitals and insurers, and others. They must step up to remedy their damage — and we need to keep on them, as well as politicians and policy-makers to battle opioids with even more vigor and resources. We need to realize that, even though ours is a mighty nation, we need other countries’ help to crack down on opioids. This is true for fentanyl, which experts say isn’t difficult to make and gets churned out in foreign chemical plants and by small operators overseas, especially in China. Opioids not only get shipped and mailed across borders and into the United States, they, and illicit and much-abused drugs like heroin, cocaine, meth are manufactured and smuggled across our borders, especially from the south. We shouldn’t antagonize our neighbors and we need their help to stanch narcotic supplies. And, no, the big drug seizures don’t justify a wall, since most — like the Arizona bust — occur at ports of entry. We need to combat opioids, even as this substance abuse and overdoses savage Americans we may not see and who may not be like us — rural and ex-urban, sick and debilitated, poor and people of color, and older, male, and despairing that the modern world has left them behind. New research by the independent, nonpartisan RAND Corp. augurs poorly for generational harms that this country will need to address. Experts have found that opioid-related neonatal abstinence syndrome, health challenges that infants suffer due to repeated exposure to narcotics, plagues parts of the nation now that already also grapple with high unemployment and low levels of mental health services. We’re suffering the consequences of the opioid crisis not only in the present, but we will in the future, too. We’ve got a lot of work to do.